Heat or Eat- Green Energy Benefits Few | Mothers Against Wind Turbines Inc. This heat or eat issue will be no more as the government switches over all Hydro one customers in arrears with the company. … to the “Pay as you go” hydro meters… modelled after the liberal governments wildly successful “pay to play” scheme….. hydro one customers switched to this new program will need to prepay hydro one for hydro they would like to consume…. 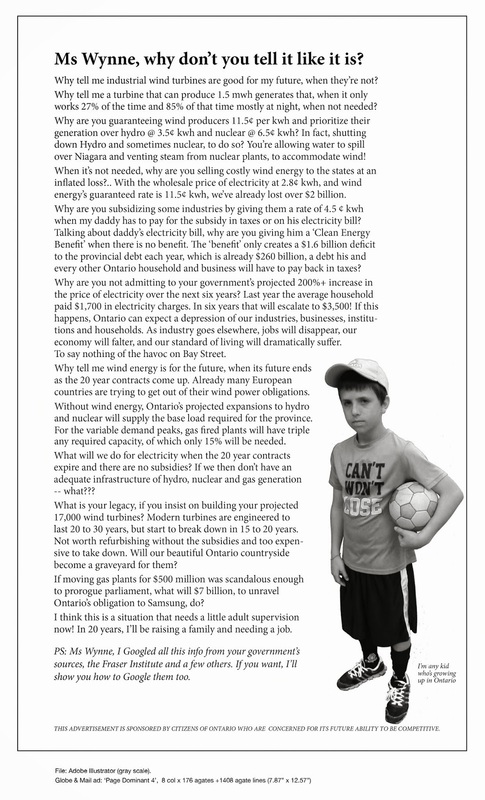 now if Ontarions have no money for hydro it’s not the liberals fault or hydro ones fault you don’t have hydro….. it’s yours because you don’t have any cash to prepay hydro…..